Alewife Linear Park/Somervillecommunity Path 2 miles Alewife Linear Park is a beautiful paved trail stretching 2 miles east from the Alewife T-station in Cambridge to Cedar Street in Somerville. Ashuwillticook Rail Trail 11.2 miles Nestled in the Hoosic River Valley, between Mount Greylock and the Hoosac Mountains in Berkshire County. Assabet River 5.6 miles connects the towns of Hudson and Marlborough and parallels the scenic Assabet River. Barker Road Trail 0.9 miles Barker Road Trail begins on the town line between North Andover and Boxford in northern Massachusetts. Battle Road Trail Concord.Concord, Lexington. Bedford Narrow Gauge 3.1 miles The Bedford Narrow-Gauge shares its trailhead at Depot Park in Bedford with the Minuteman Bikeway and Reformatory Branch Trail. Bike to the Sea Malden, Lynn and Revere. Blackstone River and Canal Heritage State Park Trail 3.5 miles The Blackstone River and Canal Heritage State Park recalls the role of canals. Blackstone River Greenway (MA) 2.5 miles will eventually link Worcester, Mass.with Providence. Boxford Rail Trail 2.1 miles in rural Essex County. Bradford Rail Trail 1.3 mile path for pedestrians, cyclists, joggers. Bridge of Flowers a 400-foot-long former trolley line bridge that has been converted into a garden pathway spanning the Deerfield River between Shelburne Falls and Buckland. Bridge Street Bike Trail 1 miles begins near Curtis Park and travels south through downtown Salem. Bridle Trail 3 miles The abandoned rail bed is predominantly owned by the Town of Marshfield.Sections of the abandoned rail bed are open to the public and actively used for recreational uses such as walking, running, horse back riding, mountain biking. Bruce Freeman Rail Trail 6.8 miles The Bruce Freeman Rail Trail follows the route of the former Framingham and Lowell Railroad. Cape Cod Canal Bikeway 13.5 miles The Cape Cod Canal Bikeway connects Cape Cod Bay and and Sagamore on its eastern end with Buzzards Bay and thecommunity of Bourne on its western end. Cape Cod Rail Trail 21.9 miles stretching through quaint villages and along y beaches past a diverse landscape of salt marshes, pine forests and cranberry bogs. Center Trail 0.6 miles from Hopkinton’s downtown to its high school and middle school. Chicopee River Canal Rail Trail 0.21 miles in Chicopee, Massachusetts. Clipper City Rail Trail & Harborwalk 1.1 miles near downtown Newburyport. Cochituate Rail Trail 1.1 miles, will run from the Village of Saxonville in Framingham to Natick Center, a distance of 4 miles. Columbia Greenway Rail Trail 2 miles through Westfield in southwestern Massachusetts. Connecticut Riverwalk and Bikeway 5.4 miles The Connecticut River Walk and Bikeway, which will one day run 21 miles along the river. Danvers Rail Trail 5.1 miles.The abandoned corridor extends just over 5 miles from Peabody north through the heart of Danvers. Dr.Paul Dudley White Bike Path 13.6 miles Nestled in Boston’s Charles River Reservation. East Boston Greenway 1.4 miles The East Boston Greenway, a linear park made possible by the donation of a disused rail corridor by Conrail in 1997. Gloria Braunhardt Bike Path 1.2 miles, parallels the eastern side of the present-day Interstate 95 while following the old interstate roadbed. Grand Trunk Trail 4.4 miles, Grand Trunk Trail is part of a larger trail network, the Titanic Rail Trail, which will stretch more than 60 miles through south-central Massachusetts. Hanover Branch Rail Trail 2.6 miles In the southeastern outskirts of Boston. Independence Greenway 8.1 miles through western Peabody. Jay McLaren Memorial Trail 2 miles on the northern end of Merrimac in the far northeastern corner of Massachusetts. Lowell Canal System Trails 1.9 miles part of Lowell National Historical Park in Lowell, Massachusetts. Marblehead 4.1 miles connects Marblehead, Salem and Swampscott. Martin H.Burns Wildlife Management Area Trail 3.4 milesthrough the Martin H.Burns Wildlife Management Area near downtown Newburyport. Mattapoisett Rail Trail 1.1 miles between Reservation Road at Mattapoisett Harbor and the Phoenix Bike Trail in Fairhaven. Mattapoisett Rail Trail Extension 12 miles. Methuen Rail Trail 2.4 miles connects threecommunities in northeastern Massachusetts. Minuteman Bikeway 9.7 miles through suburban Boston. 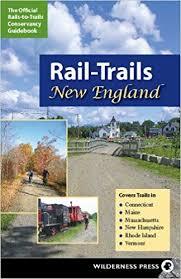 Nashua River Rail Trail, NH 12.3 miles through the Massachusettscommunities of Ayer, Groton, Pepperell and Dunstable. Neponset River Greenway 5.2 miles. North Bank Bridge 0.5 miles The North Bank Bridge, which opened in 2012, provides a safe and convenient pedestrian and bicycle connection between Cambridge’s North Point Park and Paul Revere Park in Charlestown. North Central Pathway 11.4 miles between the cities of Winchendon and Gardner in northern Massachusetts. Northern Strandcommunity Trail 5.6 miles. Norwottuck (Francis P.Ryan Section) 4.9 miles between New South Street in Northampton and the neighborhood north of Look Memorial Park in Florence. Norwottuck (Mass Central Section) 10 miles stretching east from Northampton, connects the towns of Northampton, Hadley and Amherst. Old Colony Nature Pathway 1.6 miles in Provincetown. Old Colony Rail Trail 7.9 miles, southeastern Cape Cod. Old Eastern Marsh Trail 1.4 miles between the north bank of the Merrimack River and Mudnock Road in Salisbury. Phoenix Bike Trail 3.5 miles. Pine Tree Brook / Popes Pond Path 2 miles alongside the brook in Milton, Massachusetts. Quequechan River Rail Trail 0.68 miles along the northern shore of scenic South Watuppa Pond. Redstone Rail Trail 1.4 miles. Reformatory Branch Trail 4.5 miles through three natural areas. Salisbury Point Ghost Trail 1.8 miles. Shining Sea Bikeway 10.7 miles, the only bikeway on Cape Cod to skirt the shore. South Spencer Rail Trail 1.62 miles from downtown Spencer to an area south of town near Spencer State Forest. Southwick Rail Trail 7.1 miles, continues south as the Farmington Canal Heritage Trail. Topsfield Linearcommon and Wenham 4.9 miles, Topsfield to Boxfordand Wenham. Ware River 12 miles.Watertown Multi-Use Path 0.85 miles from School Street to Grove Street in Watertown. Whitney Spur Rail Trail 1.6 miles north of the MBTA’s Cohasset Station to the edge of Wompatuck State Park. World War II Veterans Memorial Trail 1.5 miles on an abandoned corridor once served by the Old Colony Railroad.